UAMS patients now can access their health records on their iPhones. Dec. 5, 2018 | LITTLE ROCK — Patients at the University of Arkansas for Medical Sciences (UAMS) can now see their medical data on their iPhone using the Apple Health app, making it easier to monitor and track their health and progress toward wellness goals. UAMS is the first health care institution in Arkansas to partner with the popular Apple Health app. 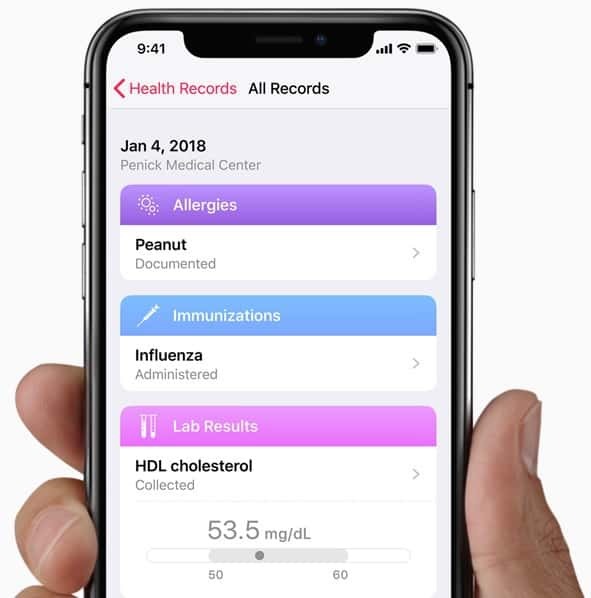 This new function in the Health Records component of the Apple Health app integrates information from the patient’s hospital and clinic visits with the app, providing a one-stop source for patients to see their available medical data from participating providers whenever they choose. Previously, patients had to log into each care provider’s website and piece together the information manually. Available data from the UAMS MyChart app includes test and lab results, allergies, immunizations, medical conditions, procedures and medications. Apple worked with the health care community to take a consumer-friendly approach and created Health Records where data is encrypted and protected with the user’s iPhone passcode, Touch ID or Face ID. For more information on Health Records, visit: https://www.apple.com/healthcare/health-records/.